There's a beach on Mahe that is beyond beautiful. 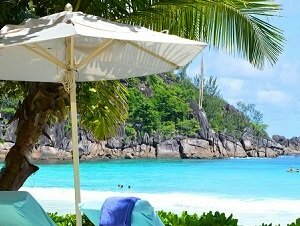 It rates as top of my list of all Seychelles beaches and is my favourite beach in the entire world. 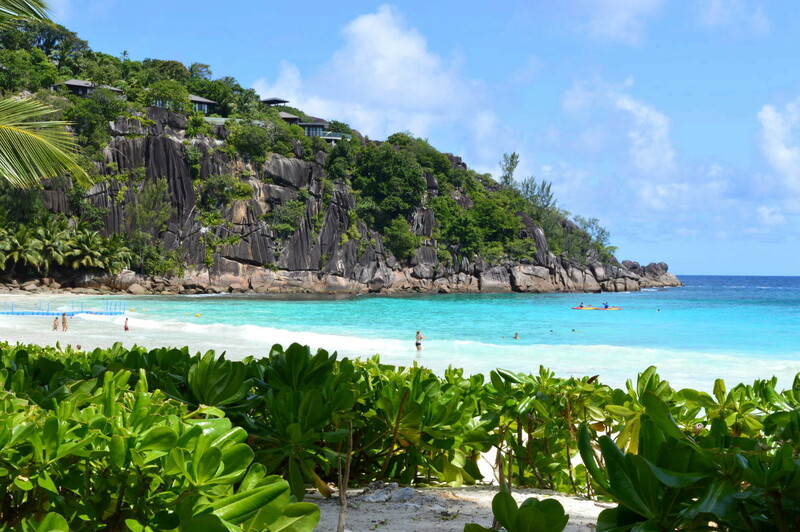 It's the Four Seasons beach - real name Anse la Liberte - but often called Petit Anse by locals. The verdant tropical forest rises up behind the silver sands. 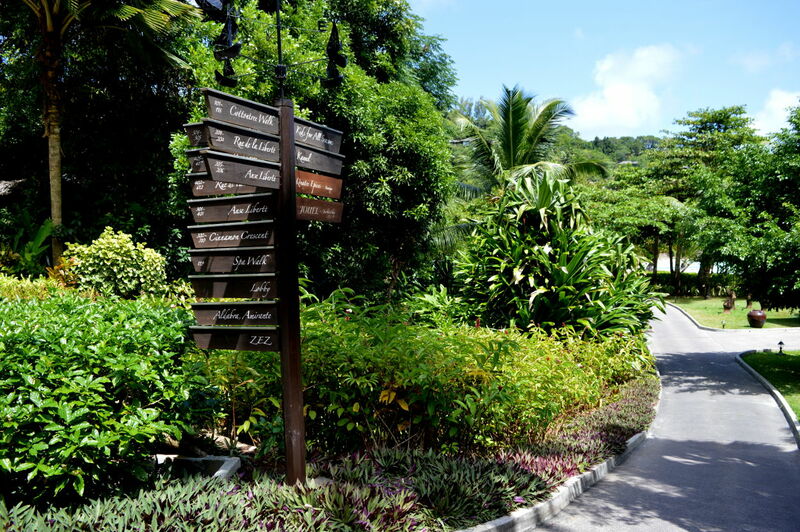 Hidden in the forests are the luxury villas of the resort - each one includes its own pool too. 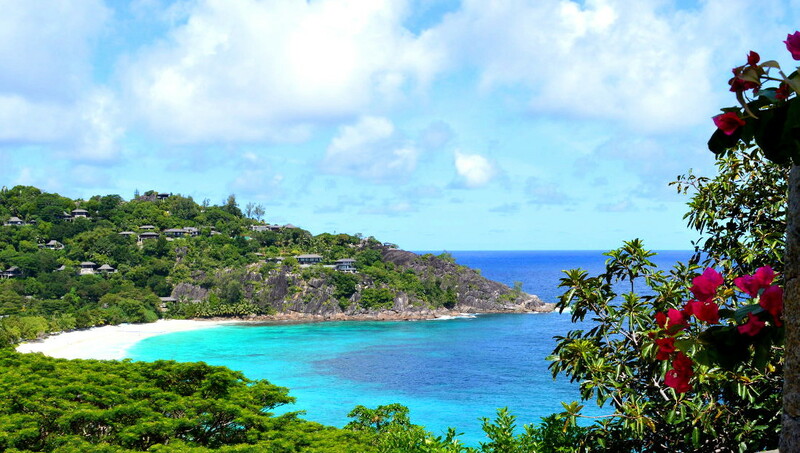 To the right of Four Seasons Beach the whole west coast of Mahe stretches away to the north. While behind the beach you've a beach bar; serving the sort of cocktails required when you're in paradise. The beach offers perfect swimming for all ages from toddlers up. 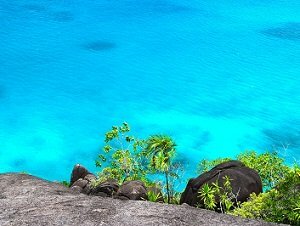 Like everywhere in the Seychelles the water is warm. 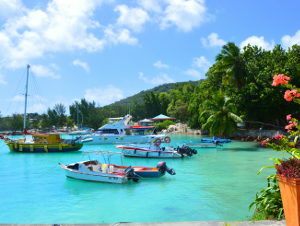 It is calm too with few waves and the clarity of the water is perhaps the best on Mahe. There's always a lifeguard on duty so if you've young children you can relax in peace knowing that the children are safe. Snorkelers will find the best spots near the granite rocks on the south side of the beach. View north along Mahe's west coast. Southern part of the beach where the best snorkeling is. The only problem with the beach is that it is really really difficult to get to... IF you aren't a guest at the Four Seasons Hotel. Should you be able to afford a stay at the Four Seasons, then I recommend you do. It's an absolutely out-of-this-world resort, built around the island's best beach. 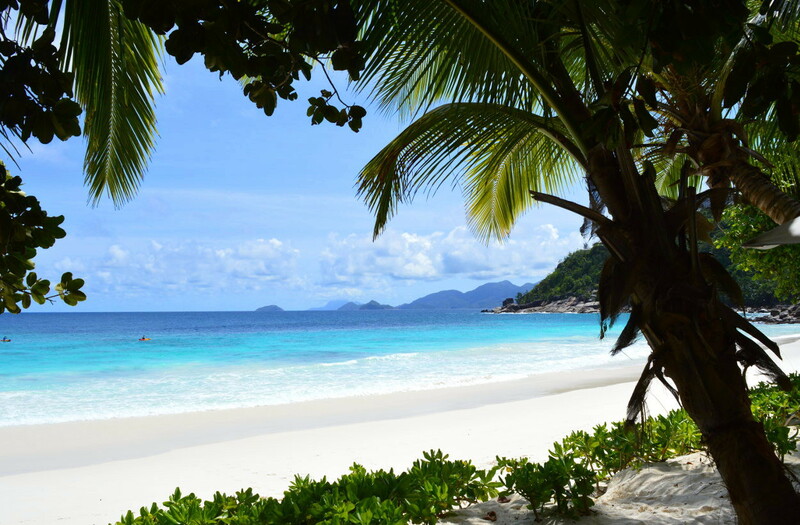 Let's face it, one of the principal reasons for visiting the Seychelles is for the gorgeous beaches. 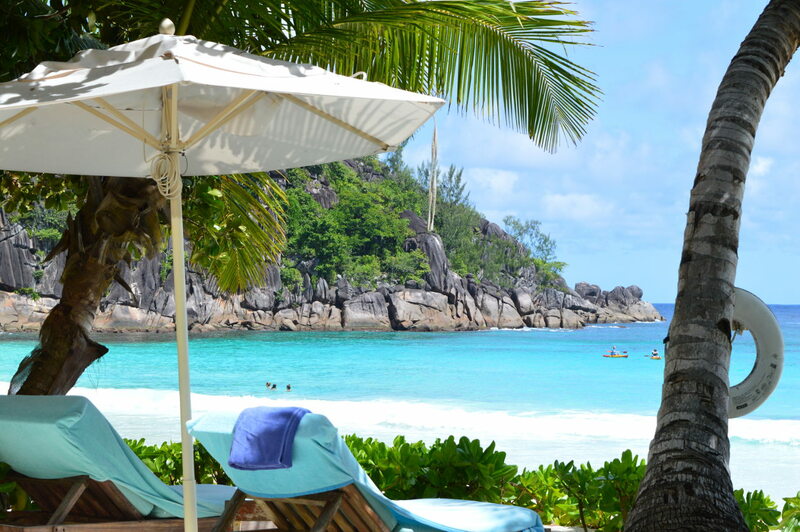 Why fly all the way here to end up staying at a resort on a second-rate beach like Beau Vallon? 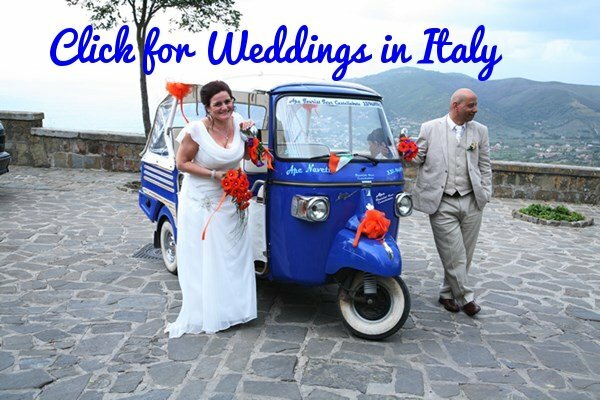 Not staying at the Four Seasons Resort? 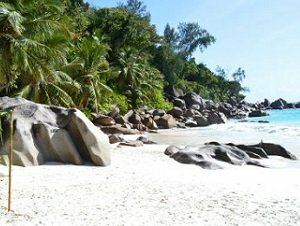 Then you can only access this beach via the footpath from Anse Soleil Road - you'll see the road marked on the map lower down the page. 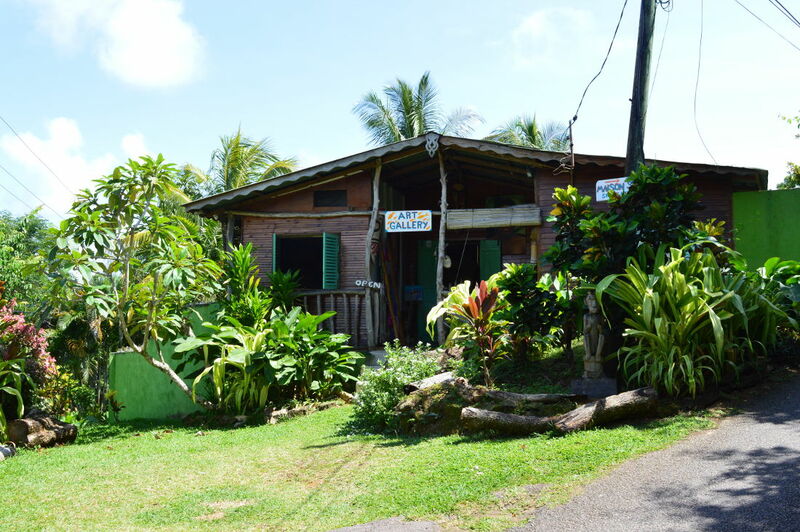 Trouble is it is a fair way to drive from the north or east of the island, where most hotels are, and then, if you find Anse Soleil Road, you'll be hard pressed to find parking. Just before the parking area you'll see the little little art gallery in the photo above. It is just before the path starts and has some great paintings by artist Andrew Gee. Once past the gallery you'll see the entrance to the Four Seasons - park in the road... if you can find parking. Once parked ask the resort to let you pass for the beach - say you're visiting for lunch or a cocktail and you might get lucky and get in. The walk then takes around 25 minutes, if you don't get lost. The resort is huge and if you turn right, instead of left, at the first fork in the road you'll end up miles away on the other side of the resort. 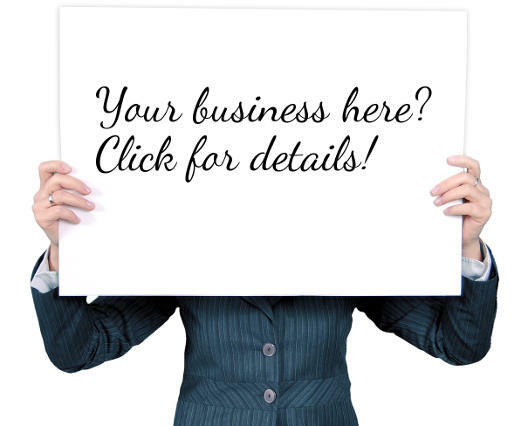 Look out for the signposts, like the one in the photo below. To be honest, if you aren't staying at the Four Seasons, I wouldn't waste half a day trying to find it, get in and out,and then home again. 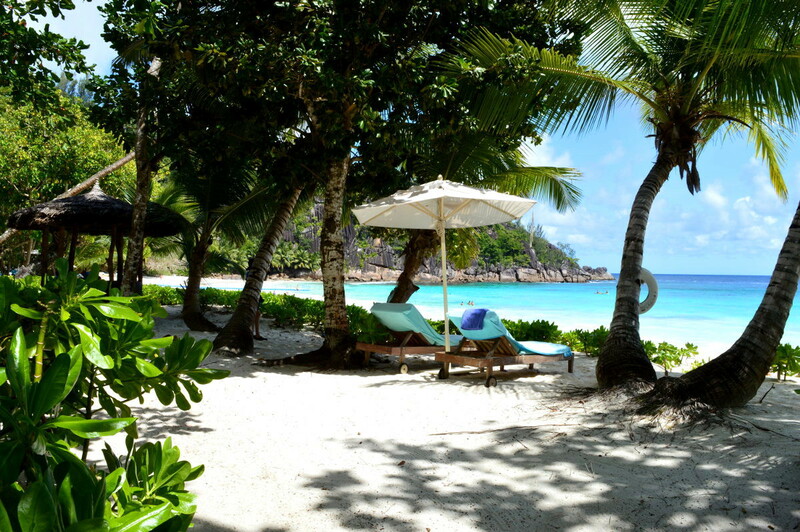 Rather just accept second best... or stay on Praslin and/or La Digue instead of Mahe, where the beaches are nearly as lovely as the Four Seasons beach.